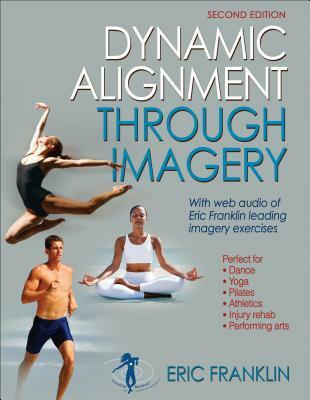 Dynamic Alignment Through Imagery, Second Edition, expands on the classic text and reference written by Eric Franklin, an internationally renowned teacher, dancer, and choreographer who has been sharing his imagery techniques for 25 years. - updated chapters throughout the book, including new material on integrated dynamic alignment exercises and dynamic alignment and imagery. This book will help you discover your natural flexibility and quickly increase your power to move. You'll learn elements of body design. You'll explore how to use imagery to improve your confidence, and you'll discover imagery conditioning programs that will lead you toward better alignment, safer movement, increased fitness, and greater joy. Further, you'll examine how to apply this understanding to your discipline or training to improve your performance. Dynamic Alignment Through Imagery, Second Edition, will help you experience the biomechanical and anatomical principles that are crucial to dancers, other performing artists, yoga and Pilates teachers and practitioners, and athletes. The techniques and exercises presented in the book will guide you in improving your posture--and they will positively affect your thoughts and attitude about yourself and others and help you feel and move better both mentally and physically.